We have many years of experience with PCB pollution. Contact a PCB expert from TWO Teknik if you need guidance regarding PCB and pollution from PCB. 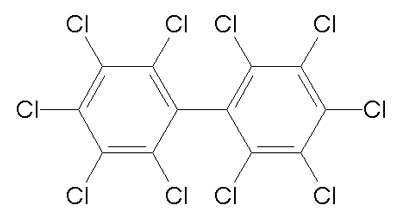 PCB are a shortage of polychlorinated biphenyls, and PCB´s are one of the most dangeruos environmental toxic´s in the world. PCB´s may cause cancer and its a substance that you cant smell, see or taste, therefor its something you should be aware of, because you dont know if you are exposed to it. Only profesionals can determine the presence of PCB´s in an indoor environment. At the same time all surfaces must be examined and tested for the presence of PCB´s. The electronical industry started using PCB´s in the 50´ties. PCB´s was mostly used in coolants and condensators. PCB´s were especially used in the building industry in the 60´ties. PCB´s were banned in Denmark i 1976, and in the USA in 1979. Internationaly the usage of PCB´s are being controlled by the Stockholm Convention – adopted in 2001. PCB´s are very hard to break down in the environment, and the process can take decades. Thats why we today can meassure pollution from PCB´s all over the world. The largest concentrations of PCB´s can be found in fat-tissue in mammals. PCB´s are especially used in caulking and paint. In most cases a PCB pollution comes from the caulking in windows and concrete elements from the 60´ties and 70 ´ties. PCB´s in caulking are still a massive problem, because PCB´s pollute other buildingmaterials and therefor create other sources to PCB pollutions. The materials in direct contact with caulking cintaining PCB´s, may also contain very high concentrations pf PCB´s. This scenario also applies to paintes surfaces and soft flooring materials. PCB´s may cause cancer and can be harmfull to the human hormone system, the liver and the central nervesystem. DO YOU WANT TO KNOW MORE ABOUT PCB´S? Kontact the PCB-specialists at TWO Teknik. We are redy to help you with your questions. PCB´s are a polluting material that releases hazardous gasses to the indoor environment and surrounding surfaces. Thats why a total remidaion of a PCB pollution can be very hard to undertake and very expensive. But pollution from PCB in buildings must be adressed due to the toxic and hazardous effects on humans. The good news is that, there are different ways to approach and solve the problem. TWO Teknik offers several solutions which means a PCB pollution can be dealth with much easier and at lower costs. WHAT DO YOU DO WITH PCB´S IN A BUILDING? First thing is to contact an advisor with experience in the field, to meassure the concentration of PCB´s in the air. In Denmark there are certain levels of concentration of PCB´s that determine which actions in needed. At concentrations above 300ng/m3 in air, fist steps shold be made to clear the problem in ashorter period of time. At concentrations above 3000ng/m3 air, actions to lower the levels are to be taken without further delay. Call TWO Teknik +45 72302031 and get help today. You can also email us or write to us here and we will contact you. WHAT DOES PCB`S IN BUILDINGMATERIALS MEAN? PCB´s in buildingmaterials pocess a big treath to our health, and the usage of PCB´s in the building industry is much greater then first expected. This amongst other things due to the increase in buildings from 1950 to the midt 70´ties. Not just many buildings were made in this period, but also many buildnings was renovated – with the usage of buildingmaterials containg PCB´s. Den The good news is that there are different methods and solutions that makes a pollution from PCB´s much easier and economical to handle. Encapsulement or sealing of PCB´s with the special developed sealant for PCB`S “SPS Prime” is the most used and best documented method to stop the hazardous gasses from PCB. 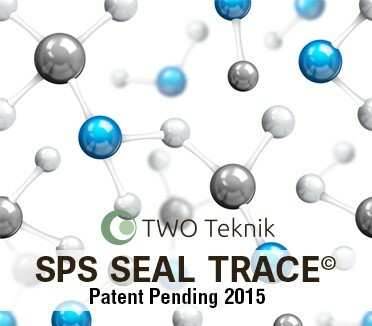 TWO Teknik offers as the only company in the world, a tracable compound that allows effect of the encapsulement to be meassured at all times. This means certainty and security for effect for owner and user of the building. We are proud to cooporate with the best entrepreneurs.